Mary Lou Novak, 94, passed away Friday September 14, 2018 just one day shy of her 95th Birthday. Mass of Christian Burial will be 11:00am Tuesday September 18, 2018 at Cure’ of Ars Catholic Church, 9401 Mission Road. Visitation will be from 10-10:45am with the rosary recitation at 10:45. A reception will follow services at the church. Burial will be in Resurrection cemetery. Mary Lou was born September 15, 1923 in Cincinnati, Ohio to Carl Edwin Gilb and Margaret Josephine (Brearton) Gilb. Mary Lou was raised in Twin Falls, Idaho. After graduation she went on to attend Idaho State University in Pocatello, Idaho where she met her husband, Edward John Novak. They moved to Chicago so Edward could attend medical school. After he graduated they moved to Tuckerman, Arkansas to set up practice as a country doctor and where they started their family. They later moved to Denver, then to Wichita and finally Kansas City where they made Leawood their home. 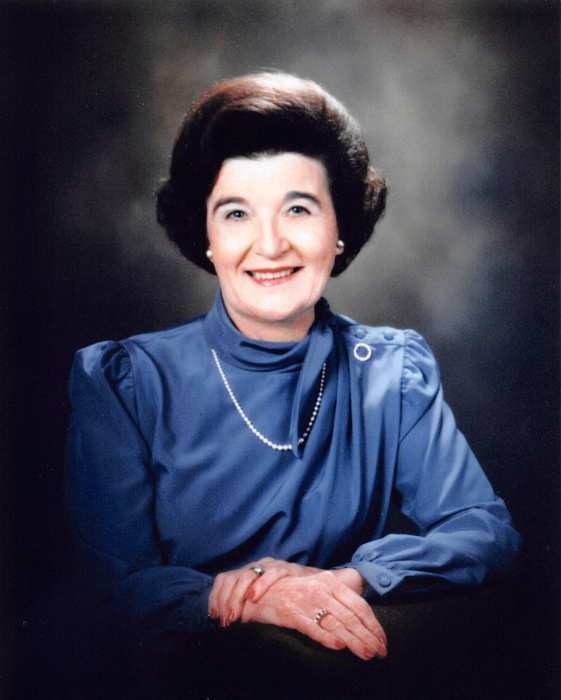 Mary Lou was an active member of Cure’ of Ars Catholic Church where she was the first woman usher. She was also active in her community as a volunteer for Catholic Charities for many years. Mary Lou was preceded in death by her parents, Carl and Margaret Gilb, her husband, Edward John Novak, M.D. ; her son, Edward “John” Novak, Jr.; and one brother and sister-in-law, Charles E. and Ruth (Valadon) Gilb. She is survived by two daughters: Carla Gish (Denny) and Marsha Novak; two grandchildren: Megan Sarvela (Mark), Cara Hoag (Matt); six grandchildren: Corbin Sarvela, Trent Sarvela, Becca Sarvela, Luca Hoag, Crosby Hoag and Delaney Hoag. Memorial contributions are suggested to the Duchesne Clinic, 636 Tauromee Ave, Kansas City, Kansas 66101.